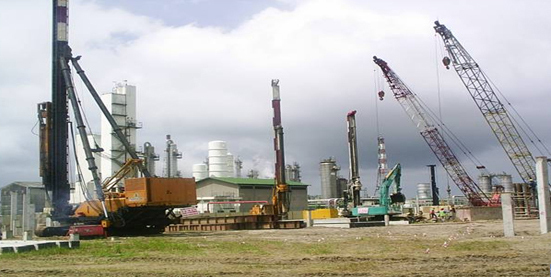 Established in 1972, Leong Hin Piling (Pte) Limited is today one of the well known piling contractors in Singapore, specialising in driven precast reinforced concrete piles, prestressed spun piles, bored cast in-situ concrete piles, steel 'H' piles, steel sheet piles, and micropiles. 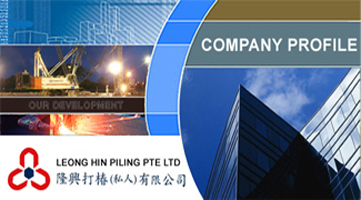 Leong Hin Piling (Pte) Limited is a subsidiary of Enviro-Hub Holdings Limited, which is listed in the Stock Exchange of Singapore Limited. The company staff strength is about 130 personnel, including managers, engineers, machine operators, welders, riggers, mechanics, electrician and other trade workers.